Christopher Kempf, the statistical analyst of the PDC, examines each quarter of the draw ahead of the 2018/2019 William Hill World Darts Championship. No player wants to be ranked number 32 in time for the World Championship. 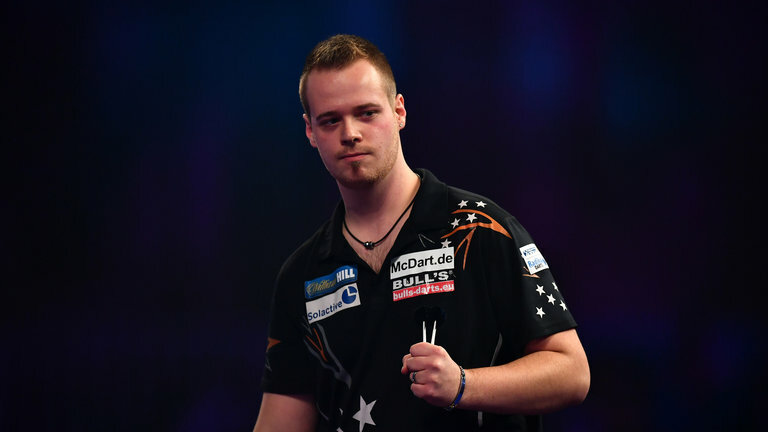 Although it represents the culmination of a breakthrough year for Max Hopp, who will hold that seed at the Alexandra Palace, it also means that a win in his first match triggers a likely match-up with world number one Michael van Gerwen. How well you play at the World Championships is as important as who you play, and with that in mind, here is an overview of the results of the draw and its implications for the first few rounds of action in the capital. Three players in the top eighth of the draw hold more world titles (nine) than the remaining seven eighths of the draw (seven), and have clashed in so many memorable encounters at Alexandra Palace. 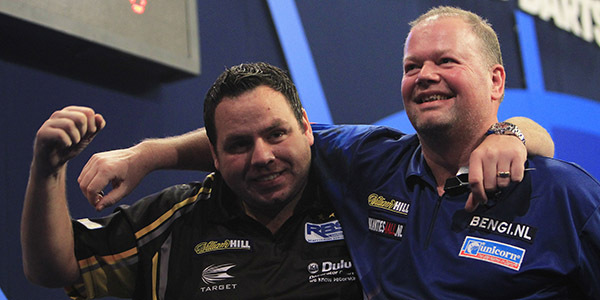 But while Van Gerwen, Adrian Lewis and Raymond van Barneveld are more accustomed to meeting each other in the long-format quarter-finals and semi-finals, this year they will meet in the third or fourth round in a race to four sets. This may prove troublesome for Van Gerwen, who defeated his Dutch rival in the longer format 2017 semi-final and 2018 quarter-final but lost their 2016 tie in a memorable third-round encounter. Lewis and Van Barneveld have been relatively fortunate in drawing potential second round opponents without much World Championship experience, so their eventual collision in a second match looks likely, while Hopp and Danny Noppert, both young players enjoying breakout years in the PDC and with little to separate them statistically, may face each other for the right to play Van Gerwen. The draw was not kind to the seeds in the second eighth of the draw, all of whom could potentially face four of the strongest players on the Pro Tour. Simon Whitlock awaits the winner of Anastasia Dobromyslova and Ryan Joyce, who has quietly raked in over £30,000 in his debut year in the PDC, with James Wade facing three-time ProTour title winner Krzysztof Ratajski. Jelle Klaasen and Alan Norris, having weathered a year of below-par form, appear as underdogs to Keegan Brown and Steve Lennon respectively, despite their seeds, and could end the year on the verge of falling out of the top 32. The winner of the Players Championship Finals has gone on to win the World Championship in four of the last six years, and this year's champion Daryl Gurney will find himself in a relatively open eighth of the draw as he looks to continue that trend. Jamie Lewis, who averaged almost 100 in an out-of-the-blue run from the preliminary round to the semi-final of last year's event, is seeded 28th this year but faces difficult opposition from either Kiwi Cody Harris or World Youth Championship runner-up Martin Schindler, both of whom have averaged over 90 this year. Dave Chisnall, who remains one of the most powerful scorers in the game, could face two other players without much recent success in major TV events - Robert Thornton or Kim Huybrechts - as they seek to defend substantial earnings from 2017. A player on the opposite trajectory, Paul Nicholson, who has had the misfortune of drawing Van Gerwen in his last two TV events, plays Kevin Burness for the right to face another two-time World Champion in Gary Anderson. 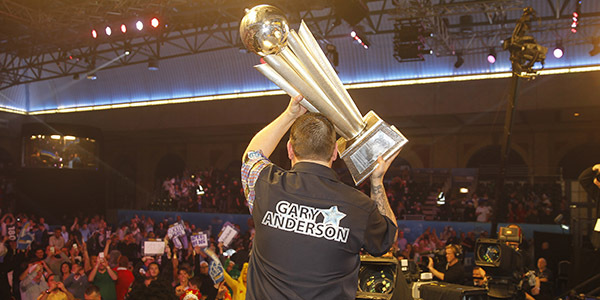 Anderson's dominance in recent months - including a defeat of Van Gerwen in Wolverhampton - suggest that Nicholson and other players in close proximity to him in the draw - Jermaine Wattimena, Darren Webster, Steve Beaton - will need to play at a level well above their average 2018 performance to knock out the Scottish star. Rob Cross' PDC honeymoon comes to an end this month, as he plays his last major ranking tournament in which he will have no money to defend from two years previously. In the smooth-throwing Jeffrey de Zwaan he has drawn a dynamic young opponent who has enjoyed an impressive year-to-date double percentage of 43 and a vast amount of 180s, who poses perhaps the most serious threat to Cross' quest for back-to-back world titles until the quarter-finals. However, with Dimitri Van den Bergh positioned nearby in the draw, a rematch of last year's thrilling quarter-final is possible. The newest addition to the PDC's top 16 players, Jonny Clayton, may have to defeat the World Youth Champion in his first match and overcome his historically low doubles percentage to do so. A potential fourth round tie between Michael Smith and Mensur Suljovic may present itself if no other players in that section of the draw can overcome those two top ten players' very high averages and likelihoods of winning legs in 15 darts or less (Smith 38%, Suljovic 34%). The most likely contenders to upset them appear to be James Wilson, a heavy 180-hitter with improved finishing relative to his form last year, and Gabriel Clemens, who outranks potential second round opponent John Henderson in nearly all statistical categories this year. Grand Slam champion Gerwyn Price may be the world number six, but he could be facing an unexpectedly strong challenge in the second round from PDC title winner Nathan Aspinall. In events in 2018, Aspinall outranks Price in completing finishes of less than 100 and barely lags behind the Welshman in overall averages. 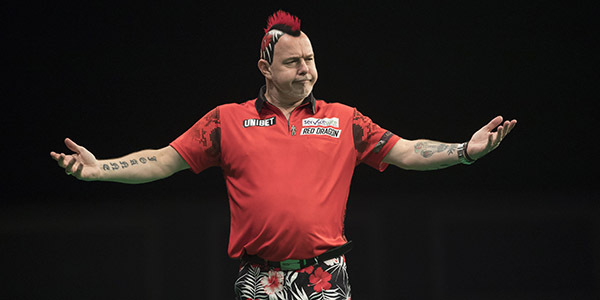 Peter Wright, recently dethroned as world number two, has had difficulty maintaining his rampaging 2017 form in recent months, but has nonetheless won all seven matches against potential opponent Antonio Alcinas and is unlikely to be outperformed by Benito van de Pas, Mickey Mansell or Craig Ross, who are all huge statistical underdogs compared to Wright. Rounding off the draw, we have Joe Cullen, who will attempt to win his second World Championship match in ten attempts, and whose breakthrough success at this year's World Matchplay raised expectations for the World Championship. However, Cullen could find himself struggling to match Brendan Dolan's superior finishing, then facing a potential third round meeting with either 23-year World Championship veteran Mervyn King, doubles specialist Jan Dekker, or Lisa Ashton, who enjoys more experience in set play than many PDC qualifiers.